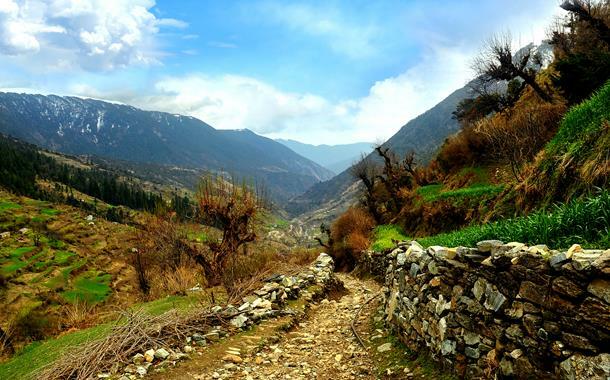 From Ruskin Bond’s inspiration to undiscovered peaceful havens, Uttarakhand, the ‘Land of Gods’, offers much more than just spiritual journeys. It has wildlife tours, trekking, camping, mountaineering, rafting, skiing and many more winter sports. 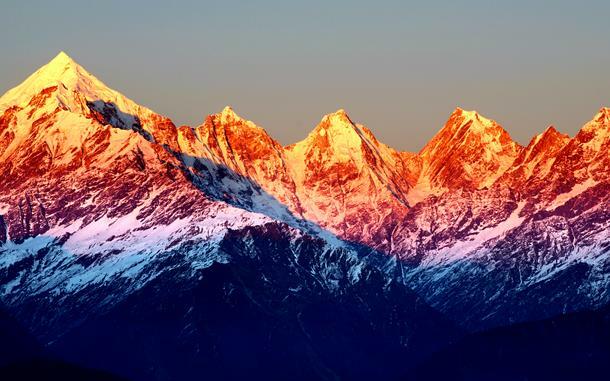 A perfect rendezvous with the Himalayas is what you can expect when you skim through our Uttarakhand tour packages. 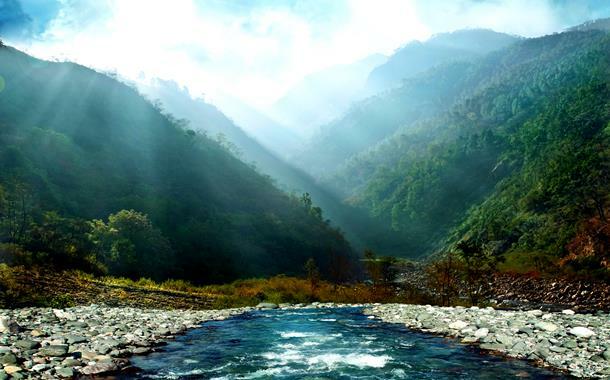 Famously known as ‘Queens Land’, Ranikhet is a hill station located on the rolling plains of Uttarakhand. 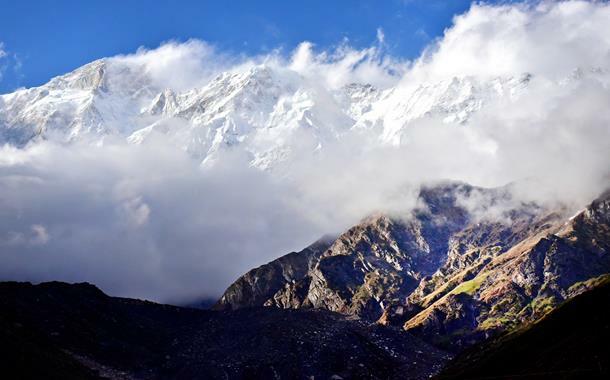 Located at an altitude of over 1800 meters, it is a perfect destination to take in the Himalayan sights. Here, you will find several temples filled with a divine aura. Chaubatia Orchard fruit research centre contains more than 200 varieties of fruits and flowers which are a attraction during season. 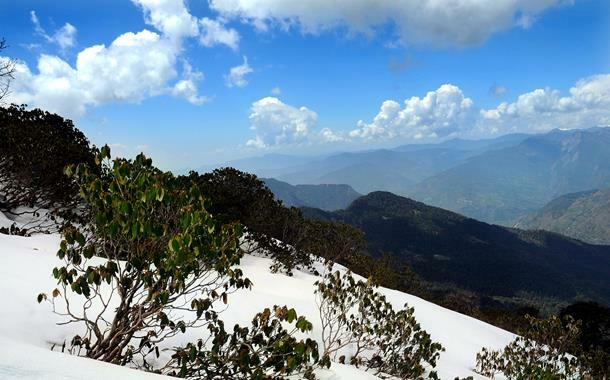 Located at an elevation of over 2400 meters, Binsar is situated amidst a verdant wildlife sanctuary. This is the perfect place to be if you are looking to be away from city’s noisy life. 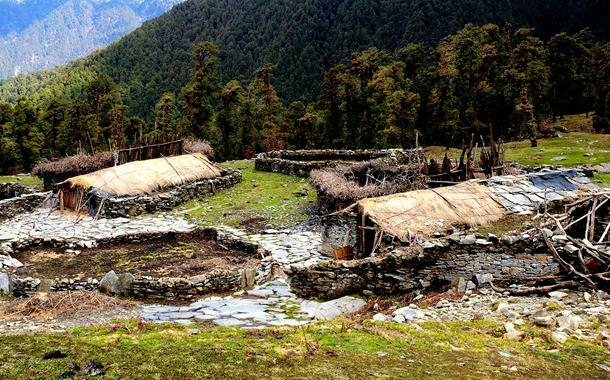 Binsar has some of the best homestays situated in the Himalayan ranges. It offers best trekking spots, safaris to wildlife sanctuary, sightseeing. This romantic destination allures you with its magnificent beauty and is a heaven for nature and mountain lovers. 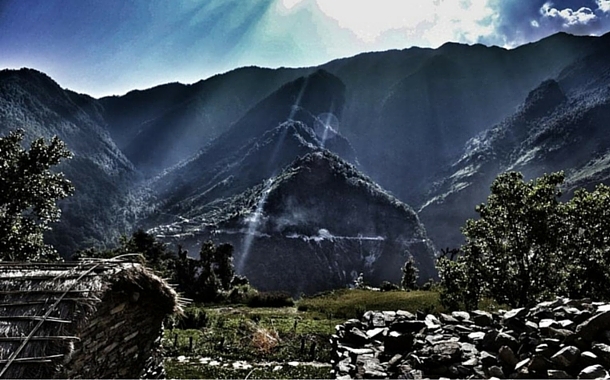 Located on eastern side of Uttarakhand, this place offers intriguing Himalayan views. It is also famous for handicrafts, wildlife and a variety of cuisines. The major tourist attractions include Bright End Corner, Wildlife Sanctuary and Kumaon Regimental Center Museum. Erstwhile Haley’s National Park, Jim Corbett attracts visitors for its Royal Bengal Tigers. It is home to more than 600 species of birds and an equal number of animals. There are variety of plants and trees around. If you are a wildlife lover, photographer or a nature lover, you just can’t miss this place. The jeep safaris, elephant safaris are famous here along with some unplanned excursions. One of the best places in Uttarakhand for winter sports, Auli offers a Switzerlandish experience in our very own country. Skiing, snowboarding and mountaineering are very famous here. Auli has to be on your list if you are kicked about the various snow activities happening here during the winter season. It is the best place for mountain lovers, couples and ski enthusiasts. This place will make you believe in magic, every inch of this land is blessed with natural, verdant and lush green beauty - beauty so mesmerising and untouched that no words or camera could ever express your feelings. It also offers great scope for trekking. 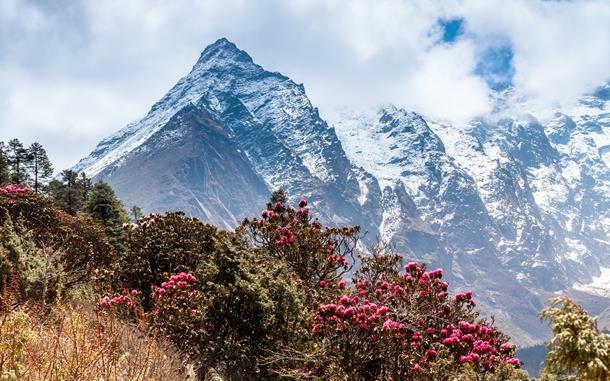 The Pithoragarh Fort, Askot Sanctuary, Jhulaghat, Ralam Glacier are some places you don’t want to miss. Small secluded and silent, Chakrata is a place to enjoy the beauty of the hills tucked away in a secret hidden spot that is not disturbed by tourists. Serene quaint hills and birds chirping in background, Chakrata is a peace lover’s paradise, with amazing view of nature and even more amazing climate. It is home to India’s of one of the highest waterfalls. A visit to Tiger Waterfall and Buddha Cave is must when in Chakrata. The capital of Uttarakhand is located at Himalayan foothills, with Ganga and Yamuna flowing on either sides of the city. 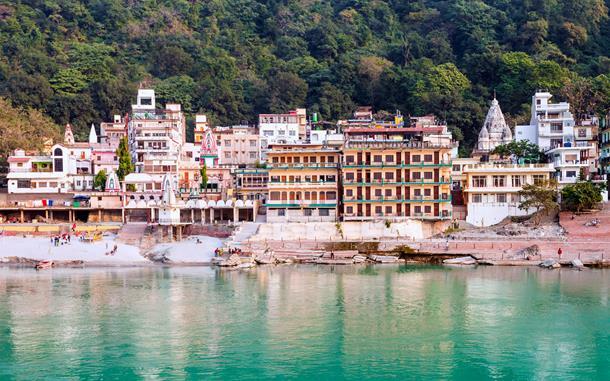 Rishikesh, world's yoga capital, also falls in this district. Apart from the natural beauty, this place has some of the most impressive architectural display of ancient construction. The Malsi Deer Park, Tiger Falls, Mindrolling Monastery, Asan Barrage Water Sport Resort are some of the major attractions of Dehradun. Ruskin Bond’s literature often traces his childhood memories and contemporary wanderings from the hills of Mussorie. 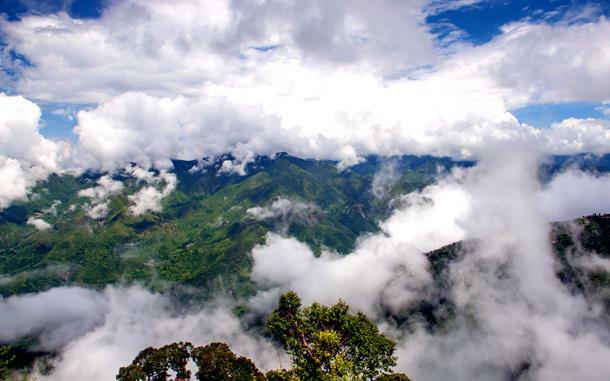 Whistling woods, rolling plains, incorrigible Himalayan views and green misty dews make Mussoorie the ‘Queen of Hills’. Uncannily romantic and endearing, Mussoorie is a small town that delves into ones heart for good. The Mussoorie Adventure Park, Jharipani Falls, Mussoorie Lake, Happy Valley are a must visit. Commonly referred to as the ‘Lake District of India’, Nainital sits at over 1900 meters above sea level and has an irresistible scenic beauty. Some of the tourist attractions include Naini Lake, Himalayan View Point, Lands End, Tiffin Top and among many others.